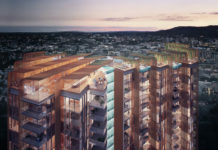 A development application has been submitted by Augustine Property Pty Ltd for the development of two twelve storey residential buildings located between Carl and Wolseley Streets, Woolloongabba. Designed by Rothelowman architects, the development comprises of 204 residential apartments with a mixture of one and two bedroom apartments. 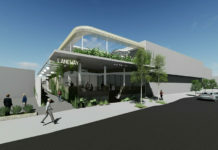 A lobby and pedestrian access points are established on the Carl Street and Wolseley Street frontages, however, the main vehicular access point to the ground level and basement car park is via Carl Street. 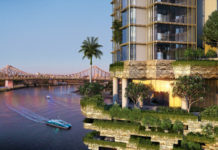 Architects Rothelowman state in the development application that the current crop of architecture in the Woolloongabba area hasn’t yet properly responded to the real urban-scale and apartment-scale issues. 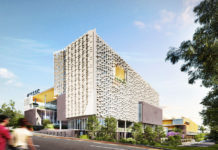 The proposed development has adopted numerous elements from the Brisbane City Council’s Buildings that Breathe guideline as is practical for this scale of development and location. The development application number for this project is A005075537.